Service: 1. Your inquiry concerning our products or prices will be responded with 5 minutes to 24 hours, i.e. latest 24 hours. 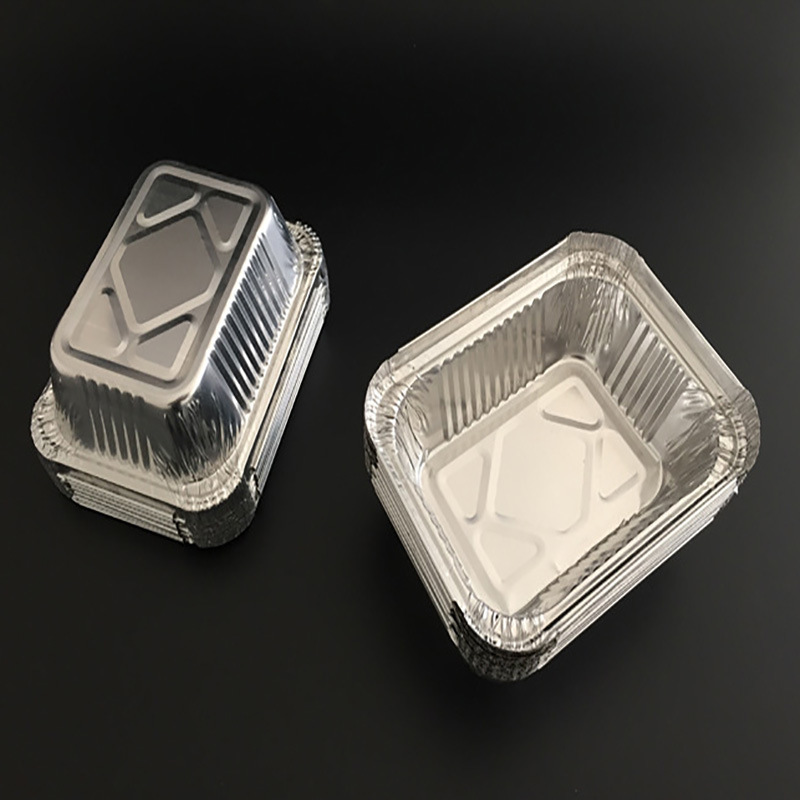 1.aluminumÂ foilÂ foodÂ containerÂ isÂ widelyÂ usedÂ inÂ in-flightÂ (train)Â cateringÂ industry,Â foodÂ factory,Â restaurants,Â hotels,Â snackÂ bars,Â biscuitÂ industryÂ etc. Made of advanced pollution-free aluminum . Shape: round, rectangle, square, ellipse, cordate, etc. Environmental protection, recoverable and recyclable. Used for storing, packing, grilling/ baking, forming heating and freezing. Â withÂ reasonableÂ price,Â excellentÂ qualityÂ andÂ bestÂ after-salesÂ service. WeÂ offerÂ multicolorÂ forÂ youÂ toÂ chooseÂ printingÂ onÂ lidsÂ .It'sÂ harmlessÂ toÂ humanÂ body. CoverÂ isÂ availableÂ toÂ fitÂ thisÂ airlineÂ aluminumÂ foilÂ foodÂ container. passedÂ byÂ FDA&SGSÂ foodÂ gradeÂ standard. 1)AnyÂ inquiresÂ willÂ beÂ repliedÂ inÂ withinÂ 24Â hours. CustomizedÂ packingÂ forÂ yourÂ products. A: Are you a manufacturer? A: Do you accept customized orders? B:Yes,we do. Your customized orders are always welcomed. please kindly offer us your samples or drawings , so that we can customize the products according to your preferences. about any further detail, please feel free to contact us. A: What information should I let you know if I want to get a quotation? A: Can you provide samples? How many days will samples be finished? A:How about the mass production? B: Normally 50,000 pcs are requested as the minium order quantity ,we shall give additional instructions in special circumstances. A:What are the terms of payment and currencies do you accept?